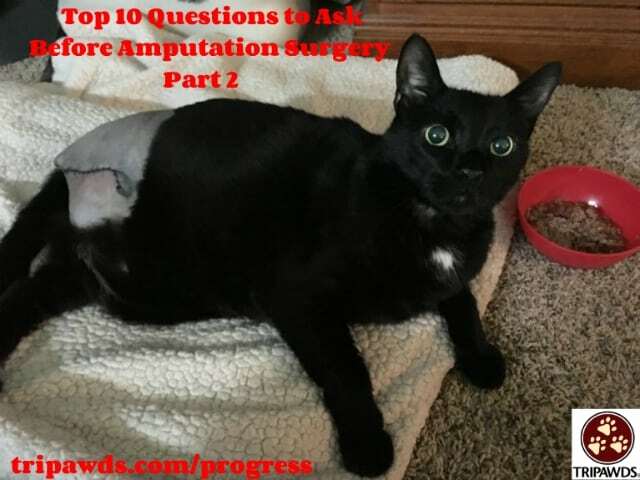 Did you see Wednesday’s Tripawds News blog post featuring Part 1 of our Top 10 Questions to Ask Before Amputation Surgery? If not, hop on over there now and then return here to catch the rest of our questions below. Elvis is on the mend! Most of us didn’t instantly agree to amputation surgery when it was presented as an option. If you’re ready to have that longer conversation with your veterinarian, here are the rest of the questions you need to ask to make an informed decision. What kind of pain management will you use before, during and after surgery? What kind of side effects should I prepare for? Proper pain management can make or break amputation recovery. Don’t learn this before it’s too late. Find out ahead of time if your vet is following the latest pain management protocols for dogs and cats. You want to know what pain control methods they use, and how those medications might affect your animal once they come home from surgery. Tripawds members typically return home with an antibiotic, a non-steroidal anti-inflammatory like Rimadyl (or an alternative like Galliprant), a narcotic pain reliever like Fentanyl (more are now getting Nocita, a post-operative injection instead), and a nerve calming medication known as Gabapentin. 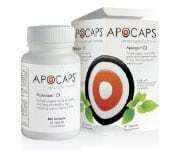 Some also receive a mild sedative like Amantadine. Now is the time to ask your vet How To Help Your Tripawd’s Post-Amputation Recovery Pain. How do you treat phantom limb pain in amputees? Phantom pain is the brain’s way of telling the body “Hey? Where’d that leg go? !” when it sends a signal to move the missing limb. The nerve is trying to control a limb that doesn’t exist. It’s not the only kind of post-amputation pain in dogs and cats, but it needs to be taken seriously and treated promptly by a veterinarian in order to have a stress-free, painless recovery. Veterinarians who frequently perform amputation surgery will be familiar with phantom limb pain in amputee pets. Those vets who don’t perform the surgery very often will probably see less cases of it. 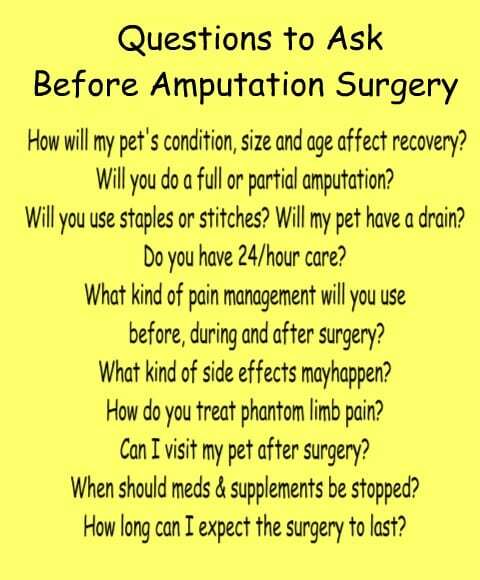 Not all amputee dogs and cats are affected by these types of pain, but you want to work with a veterinarian who knows what to do if it happens to your pet. Can I visit my pet after surgery? How long will s/he need to stay? Most vets will discourage post-surgery visits to prevent your pet from getting overly excited. Pets often become anxious if they see their humans, only to be left behind when they leave. Try to let your pet rest and sleep off the surgery anesthesia as long as possible. You’ll have plenty of intense time to spend bonding together in the next couple of weeks. If your dog or cat will be in the hospital for more than a few nights, however, a short visit may be just the thing to perk up a weak appetite and build enough strength to go home. What medications / supplements should be stopped before surgery? Depending on the size of your pet and whether or not a tumor is being removed (and where), amputation surgery can take anywhere from 45 minutes to three hours. Be sure to ask your veterinarian where your pet falls in this range, and when you can expect a phone update. If you don’t hear from the clinic within that time frame, be sure to call. Don’t be shy, remember you are your pet’s number one advocate! Every member has something to offer the community. If you think of any other questions please share your tips in the comments below. Thanks!